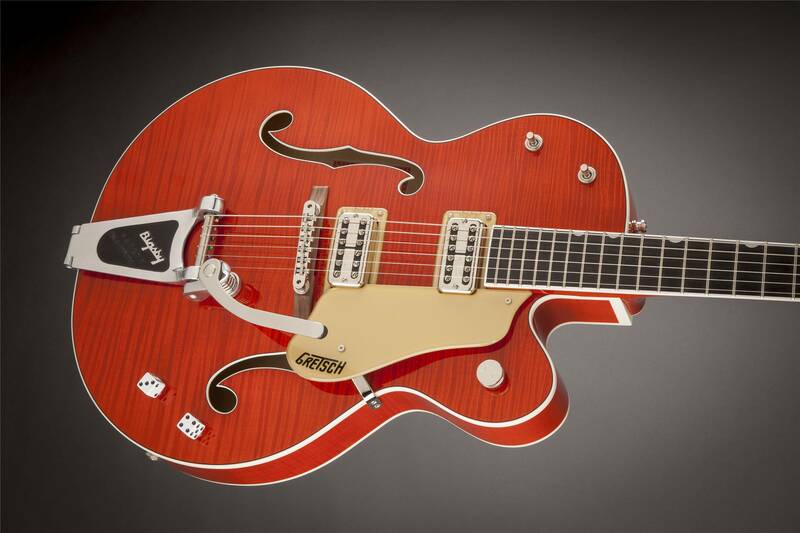 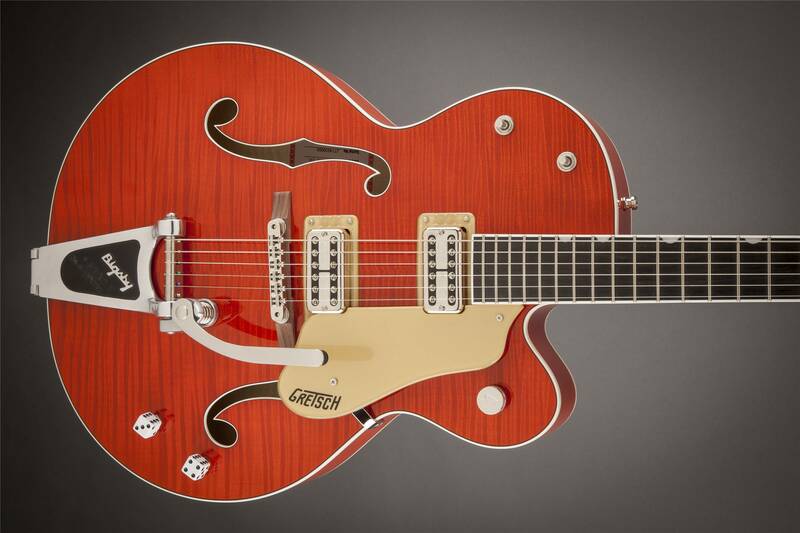 Gretsch Brian Setzer Nashville® models are built to Brian's exacting specs and modeled on the guitars in his killer vintage collection. 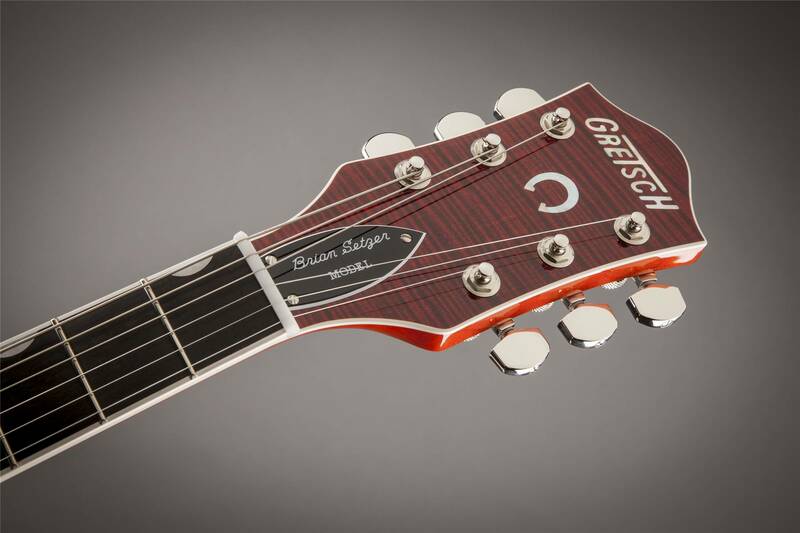 The trestle bracing matches that of Setzer's favorite '59, giving it a more solid feel and tons of sustain. 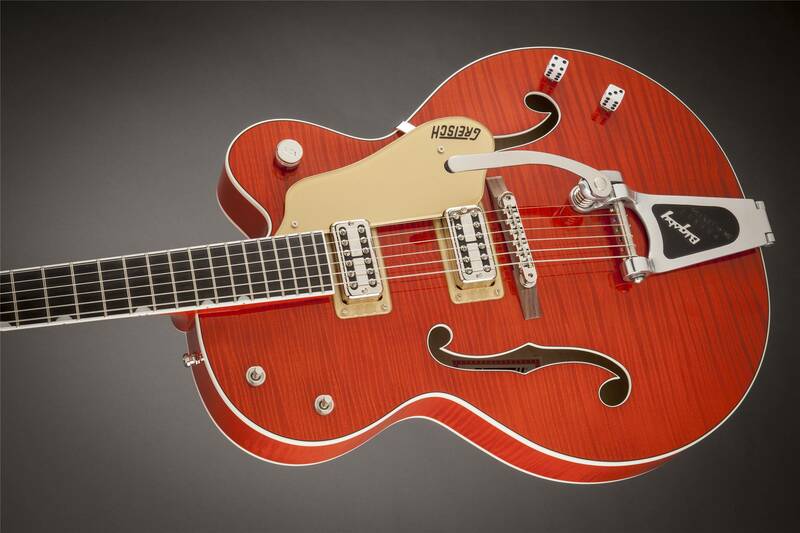 Standard features include dual TV Jones® Brian Setzer "Signature" humbucking pickups, Schaller® locking tuners and strap locks, pinned Adjusto-Matic™ bridge, nickel hardware and Bigsby® B6CB vibrato tailpiece.